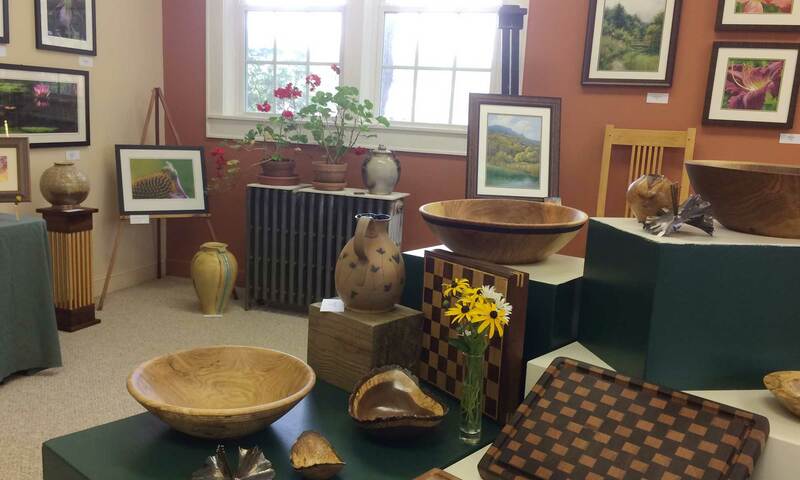 | Art Gallery at the Historic Banner Elk School, Downtown Banner Elk, N.C.
BE Artists Gallery in Banner Elk, North Carolina is a cooperative of artists who have joined together to open a gallery of fine arts and crafts in Banner Elk, North Carolina. We offer for sale to the public hand made objects of beauty and utility created by artists who live within a fifty-mile radius of Banner Elk. Spring Hours through May 18: Friday and Saturday, 10 a.m.-4 p.m. or by appointment (email art@BEartistsgallery.com to schedule). Summer Hours May 21-September 21: Tuesday through Saturday, 10 a.m.-4 p.m. Please check back for our Fall schedule. Join us for our Gallery Socials on the third Thursday of each month through September featuring the work of our members and consignment artists. The BE Artists Gallery is a cooperative art gallery operating in the Cultural Arts Center at the Historic Banner Elk School in downtown Banner Elk. Members offer their fine arts and crafts for sale, and work together to operate the gallery. We also represent the work of local consignment artists. Currently on display: Paintings and drawings in oils, acrylics, and pastels; photography; graphic arts; pottery; jewelry; metalworks; fine furniture; woodturnings; wood carvings; fabric art, and more. Visit the art gallery at the Historic Banner Elk School or email us at art@BEartistsgallery.com. We welcome consignment artist applications throughout the year. Download an application (PDF) here.